Most of the time an ascending sorting is what we need – letters and numbers listed in the ascending order – a to z, 1 to 100 etc. And just in case you need to sort in the reverse order, you have the Z to A sort, also called the Sort in Descending order. Between the two, most people are quite happy. However, there arises a time when you don’t want either the sort in Ascending order or the Descending order in Excel. For example, if the departments in your organization are Finance, Marketing, Sales & Engineering. And you want the Sales department to be listed first, followed by Marketing, Engineering, and Finance being the last. Now how would you sort the departments in this order? Ascending or descending sort is not going to work. Do not despair however. Here is where the power of Microsoft Excel Custom sort shines. Another scenario is the Sorting of Months – say you want to sort April, May & June, in this order. Or maybe you want to sort regions by East, West, North & South. This EWNS order also needs a custom sorting in Excel. Or if you have a completely random order – which defies any kind of sorting. Say you want to list Oranges, then Apples, then Grapes, and finally Bananas. You can go nuts without custom sorting criteria in Excel. First, let’s create the custom list in Excel. Go to Tools, Options, Custom Lists. You can key in your list and click Add. Or you can import your list from another area of the spreadsheet, where you list the options in the sorted order. 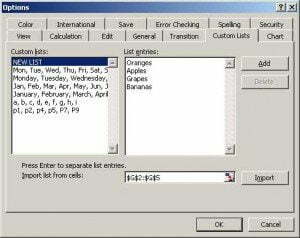 Once you have imported the list in the correct order, you can go to Data, Sort, and then click on Options at the bottom of this popup window. Choose your custom sorted list from the list of First Key Sort Order. Voila! Your list is now sorted in your very own custom order. I then use the inbuilt Lookup function of Excel called VLOOKUP function and pick the correct value, and then do an Ascending sort. This is a quick cheat trick. But it would be tough if you did not know how to use the Lookup functions of Excel in the first place. More on this lookup function in another post. 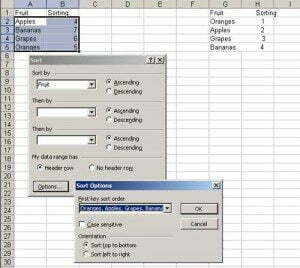 Do You Use These Advanced Features in Microsoft Excel? 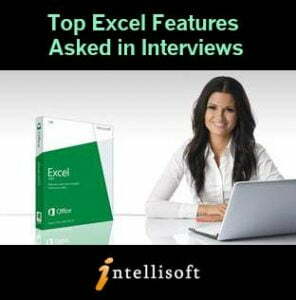 Most people hardly use the huge number of features available in Microsoft Excel. Many are just using Excel as a calculator. This is a gross under use of Excel’s vast potential and feature rich functionality. Do a quick check, and see if you use these advanced features of Microsoft Excel in your day to day work. Sort the values in Ascending, Descending or any customized order – like sorting in order of Manufacturing, Accounts, Sales departments. Write Macros to automate routine things that save you a huge amount of time – example creating pivots, charts, tables, and doing complex calculations automatically. Create fantastic charts that portray the given business situation perfectly. There are over 50 different types of charts to choose from, and each has its edge, advantages and a reason. This is just the tip of the iceberg. Microsoft Excel is really extremely powerful. Each version of Microsoft Excel – be it Excel 2007, or Excel 2010 or Excel 2013 adds more and more features to the already powerful dynamite of a package. We have a number of Public Classes each month, and we also provided In-House Training to your staff and team at your office, if you have a group of 10+ people, and have a room to hold the training. So what are you waiting for? If you would like to learn any one or more of such useful features of Microsoft Excel, come for a short Excel Training at Intellisoft. Go ahead, equip your team with the right skills. Get everyone on board to learn the basic and advanced features of Microsoft Excel, and Be Awesome in Excel! Email to training@intellisoft.com.sg or call +65-6296-2995 for the next available schedule of Microsoft Excel Training in Singapore. Microsoft Excel is heavily used in Banking, Sales, Finance, Marketing, Customer Service… you name it, it is used by people at operations level, supervisory level and management level for data entry, data analysis, tracking and reporting data. No wonder in job interviews, Excel features heavily for such job roles. The Top 3 features often asked in the Job Interviews are regarding Pivot Tables, VLookup Functions and Macros. Do you know Pivot Tables in Excel? Pivot tables are used to summarize multiple data rows in one or multiple sheets, and create a summary report. It is a fantastic tools that makes it much easier to view the data at a high level – by category, by division, by department, by area and by country etc… based on your data. 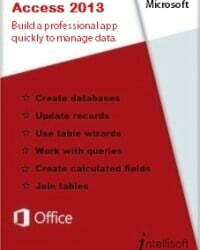 It is best if you master pivot tables, and its nuances, its options, its hidden features and become an expert at using Pivot tables. 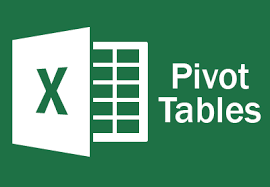 Here are some articles I wrote about using Pivot Tables in Excel, and its advanced options of getting pivot data in summary sheets within Excel. But you may want to attend the Advanced Excel classroom training, and even avail government grants, SkillsFuture, SDF funding etc. to get subsidized fees. Do you know how to use the Vlookup Function in Excel? Vlookup and Hlookup are 2 of the Lookup functions within Excel. They help to lookup prices of parts, employee names etc. from tables where you know the part number, employee number, IC number etc. It is like looking up the meaning of a word in a dictionary. These are extremely powerful functions, and you must know them well. Do note that there are couple of variations of the Lookup functions – Exact Match or Range Lookup (Approximate match). You must know what to use, and when to use which option. 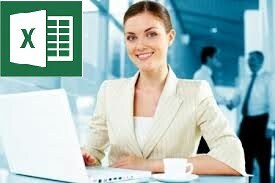 Knowledge of VLookup is a must for most industries using Excel, like the Banking & Finance industry. Again, at Intellisoft, we cover the Lookup Functions in the Advanced Excel and the Excel Dashboard MasterClass, where you learn how to create Management Reports and Dashboards using Microsoft Excel. Do you know how to write Macros in Excel? To save time in doing repeated steps, Microsoft introduced the Visual Basic for Applications programming language. IT is popularly called as VBA Macro programming. With VBA programming, you can extend Excel to create routines that can do the basic, mundane steps, quickly, and correctly, so you can spend more time with the more important stuff. Excel macros are used in creating specific user forms, creating conditional logic, creating work flow within a n organization. The end user can simple execute multiple steps without knowing how to do the intermediate steps, simply by clicking a button, which in turn can run a complex macro. It is so simple, and magical to use and execute macros within Excel. You could use it to generate a profit and loss statement, a balance-sheet, a leave approval form, a cash flow statement, pivots and charts automatically, without doing multiple steps. Read more about VBA Macro Programming here. And you can attend our 3 day VBA Macro programming training in Singapore. These are the most important and most used features of Microsoft Excel. Master these, and you will be very popular in your company, and you will improve your job prospects significantly by learning these 3 most important things in Excel.